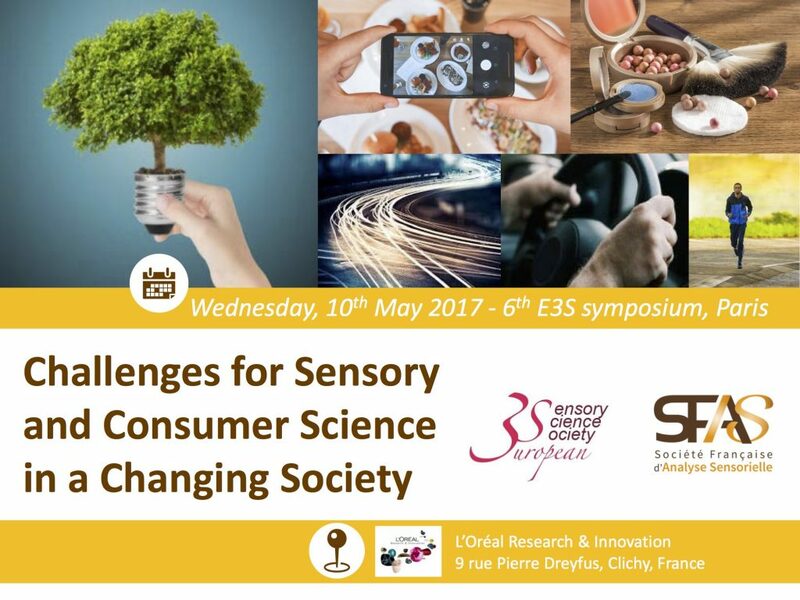 The European Sensory Science Society are pleased to announce that the next E3S Annual Symposium will be organised in Paris (Saint-Ouen) on May 9th and 10th 2017 in collaboration with SFAS (Societé Francaise d’Analyse Sensorielle) and L’Oreal. Opportunity will be given to 10 students to present their work during the symposium on May 10th. They will have to present a poster as well as a flash presentation of their work (3 minutes!) in plenary session. In order to participate, please send an abstract (300 words max) to 180s.e3sstudent@gmail.com before March 25th. Application is open to all PhD and Master (or equivalent) students. The only condition is to be a member of one of the national sensory societies affiliated to E3S. Any topic related to the field of sensory and consumer science may be presented. Participation to the E3S General Assembly is strictly restricted to the Delegates indicated by each national sensory science society member of E3S. Participation to the Working Group Workshops is restricted to E3S members registered to the symposium. Participation to the symposium is open – a reduced fee is reserved to E3S members.